The simplistic approach of working as hard as possible, resting, recovering completely and then repeating is a successful model for beginners. If that works, we do not need to limit ourselves; in fact, we are wasting our time with periodization plans. Beginners don’t need the complication . . . yet. We all have a hard time getting our heads around this. There is a huge tendency for people to doggedly stick to the first thing that works for them. They will keep doing something that had a payoff at one time and then repeat forever and ever and ever and ever, no matter how badly it goes. We don’t see this discussed much in fitness and weight training circles, but planned overtraining is the de facto standard in athletic circles. 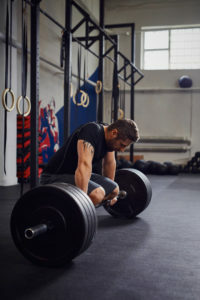 Looking at how successful trainers have used this plan, three or four weeks is about all the consistent heavy training most people can take before accumulating a lot of fatigue. A week of rest or light training allows the fatigue to dissipate and the gains to materialize. This is a very simple application of the idea, but there are ways to improve on this plan. For example, after a few of these hard and light cycles, some people taper off, hoping to accumulate gains on light specific training for even longer. For now, that’s a work in progress. We get to a certain breakeven point where it’s hard to eat less or exercise more and continue to get leaner and fitter. That point is much leaner and much fitter with a good diet and sound exercise program—that should go without saying. But after a certain point, progress gets complicated. You might increase work capacity and train more, but your appetite and need for nutrition now increases. We can use discipline to push through that problem, but we can only tolerate so much discipline and deprivation for so long. Long-term, you have to figure out ways to move that set point up if you’re going to continue to improve. It isn’t going to be a new exercise or a new rep scheme; this means a bigger change. Fifty years ago, Bill Starr wrote about heavy-, light- and medium-weight workouts in a weekly cycle. Later, people learned to wave the intensity from week-to-week, with relatively few all-out workouts, lots of hard workouts that were not all-out and periodic rest periods to grow. That’s called the dual-factor method of periodization and is applied to almost all sports at the collegiate level or higher, at least where there are advanced athletes and professional coaches. This waving of intensity week-to-week does much to keep progress moving and prevents the athletes from training into the ground. The whole idea is that it takes weeks for fatigue to accumulate and dissipate in the non-beginner. This accumulation takes place with totally normal training. But most people aren’t even thinking about that process. They generally fall into a place where they are pretty worn out most of the time, but not totally overtrained. The biggest problem with this arrangement is that life or work throws physical demands at us with no consideration for state of fatigue or fitness. At that point, surviving and bringing home a paycheck trumps orchestrated fitness and fatigue cycles. Why does a person complicate training with periodization? The only answer is because doing the same thing all the time eventually falls short. Some planning over time is necessary. It’s the same idea with diet. In fact, the best option is to periodize diet and training together. Of course, people do this to some extent all the time, eating big and training heavy, eating light, training lighter and doing a lot of cardio. For peak performance, a lot of training ultimately leads to a similar pattern—for example, four weeks of hard training, followed by one light week. That’s an approximation, and there are lots of good patterns, but it’s probably the most common set-up. As the training load and stress increases, the appetite is going to increase and hormones are going to start to go south. That is what happens when we train hard. In the week off, after the initial immediate recovery—over a weekend perhaps, the rest of the recovery in the light week or light period that follows is more hormonal. There is a common attempt to periodize training and diet together into a cutting period, but that idea is deeply flawed. The real revelation is if you diet while training light, appetite control isn’t torture; there’s no asceticism. However, training capacity is severely compromised when eating a very low-calorie diet. The big mistake is to try to grit out marathon cardio or hard training in that phase. Most non-beginner, consistent weight trainees are chronically slightly overtrained. It depends on the gym, but unless you work out at Spa Lady, look around. There is a lot of neglect of squats and cardio, but the average gym-goers are working out at least an hour, taking a lot of sets all the way to a miss. Sure, they could be working harder, but they’re doing enough in the gym for recovery to be an issue. For a non-beginner, if you work your hardest week-after-week, you’ll soon be overtrained. It takes a high level of effort to make progress, but you can’t sustain that level of effort. It won’t be healthy and it won’t be productive. This is where planned periodization comes in. Some weeks are going to be very easy for recovery, some are going to lay a base for the real work and some fly the freak flag. Beginners don’t need to worry about this yet. They aren’t strong or fit enough to really tax themselves. The beginner stage is temporary; there won’t be any long-term health effects because that stage will be over after about six months of productive training. Muscle development always slows down at about the three-month mark. It’s easy to get better when new at this, but eventually a beginner or returning trainee is going to plateau. When that happens, you have to figure out some way to continue to improve, and this will involve change. Some people will never realize this or will refuse to change, adapt and overcome. They will stagnate. Of course, if you’ve gotten as far as you want to go, it’s not called stagnating; it’s called maintenance, and there’s nothing wrong with that. People are beginners when they’re getting stronger every workout or just about every workout—that is, doing more weight or more reps in the basic exercises. When growth plateaus or is more of an up-and-down thing, well, congratulations, you’re not a beginner anymore! A week off can be a week totally off or a week of active rest. When we opt for active rest, the emphasis should be on the rest, not the active. 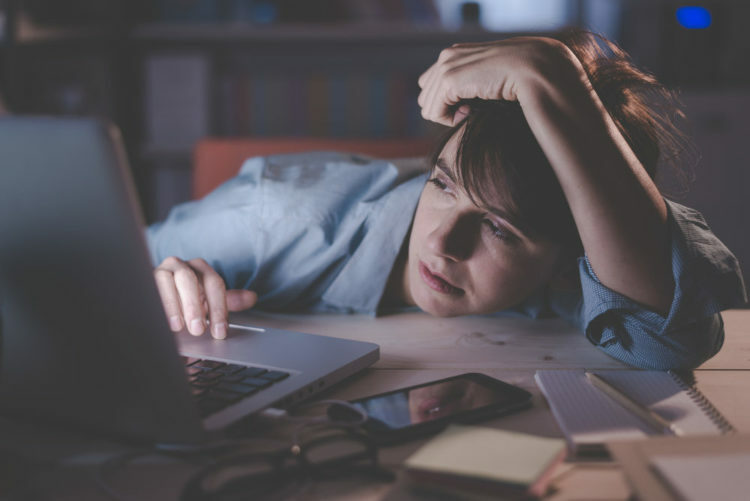 If an activity leaves you feeling tired, demands a strong effort or is highly structured, it is probably more of a workout than it is an active rest. Err toward rest, because the periodized programs that call for a week of active rest are designed so you’ll need it to fully recuperate. This allows the body to catch up on recuperation so it’s ready to give a full effort when the next cycle starts. It’s not necessary, desirable or even possible to recuperate fully between workouts. If it was, sprinters would only be able to train one day a week. People who do heavy labor would be hospitalized at the end of their first month on the job. 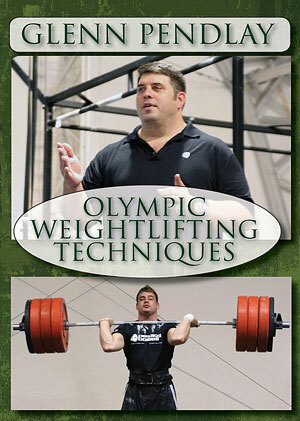 The Bulgarian Olympic weightlifting team would all be dead by Wednesday. There are a few in bodybuilding who use the model common in other sports; Hypertrophy Specific Training (HST) comes to mind. The thing is, lots of people overtrain even hitting every part twice a week or even just once a week; in fact, it happens all the time. It pays to look at how hard you go and how often, controlling the intensity and doing lots of workouts that are not all-out. When people initially start training, a simple model for growth is sufficient. They do a workout, giving the body an unfamiliar stimulus; go home and rest a couple days, and the body adapts and strengthens to better deal with that stimulus next time. The next time they go to the gym, they can do more. Lather and repeat and do the math and in five years they ought to be benching 700. If you’re smart, you won’t buy any quadruple-extra-large shirts just yet because you’ll realize before long, this model does not work. 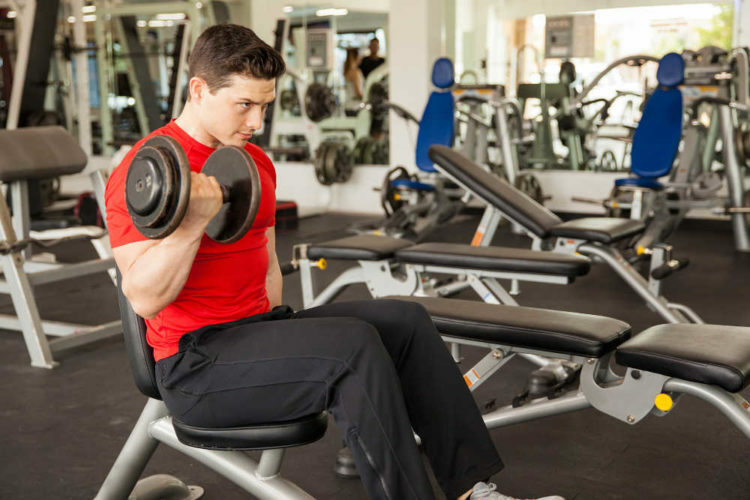 In bodybuilding, and to a lesser extent powerlifting and weightlifting, the usual response to this plateau is to rearrange the workout program and the rest schedule to try to get back to golden. These manipulations may meet with some limited success, but eventually most people hit a sticking point like a glass ceiling they just can’t rise above. The reason for this glass ceiling is the training model no longer works. This simplistic model is referred to as “one-factor theory,” and it is mainly appropriate for beginners. It will also work for a tiny minority of people who won the genetic jackpot, people for whom physical things come easy. It may also work for people using anabolic steroids, but then most things will work when on steroids. For the rest of us, after that beginner stage, a more complicated model is required. This model is commonly applied for high-level competitors in track and field and many other sports. It involves strategically manipulating two factors, fitness and fatigue, and as such is referred to as two-factor or dual-factor theory. Some of the best strength coaches in the business have been doing this for quite some time. A high-volume to medium-volume to low-volume progression is pretty much what traditional periodization is all about. That type of periodization is often criticized today, but still it produced a lot of champions. The thing to remember about periodization is that you are wasting your time applying complex methods if a simpler one will work. Always use the simplest program possible for as long as it works. World records have been set with no periodization, linear periodizations or other periodizations. Similarly, with more scientific programming methods, it is still a mistake to put someone on a program far ahead of the current abilities. These programs are designed to address challenges that only exist with more advanced athletes. 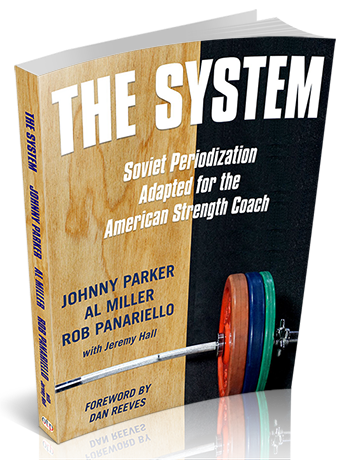 The System, a new book by coaches Johnny Parker, Al Miller and Rob Panariello describes everything you need to know to fully understand periodization for experienced athletes. Study their material until you can explain it to another coach and you’ll be ready to implement this most important training tool.